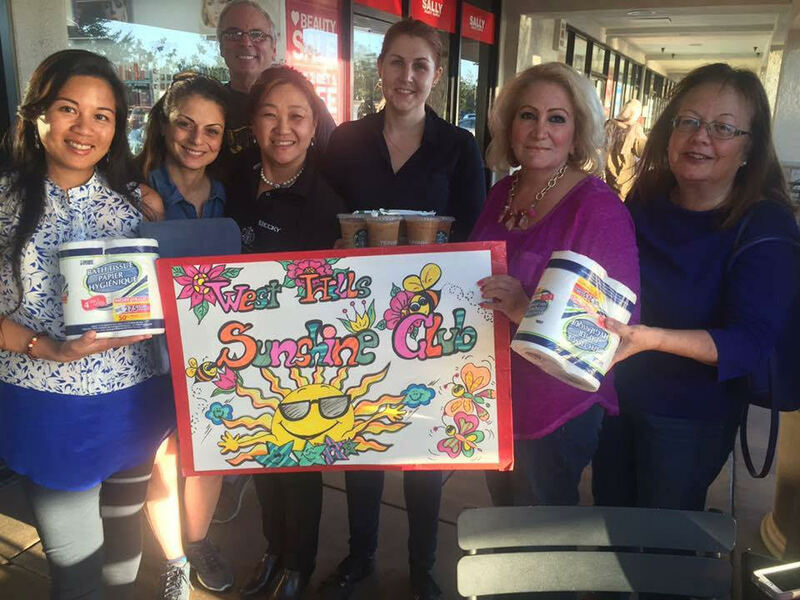 On Aug. 31 and Sept. 7, members of the West Hills Sunshine Club were in front of the Platt Village Starbucks between to receive donations of new home goods and hygiene products. The events supported Mayor Eric Garcetti’s Welcome Home Project for newly housed beneficiaries of the city’s efforts to relieve homelessness. On Sunday, Sept, 11, from noon to 3 p.m., the Sunshine Club will join other volunteers at the School of Islamic Sufism, 18011 Sherman Way in Reseda, to sort and label baskets of housewarming items for newly-housed individuals. Then, on Sept. 17, 500 baskets containing bedding, kitchen wares, personal hygiene items, cleaning supplies and welcome-home messages will be delivered during The Big Move-In on Sept. 17. For details or to sign up for either event, send an email here. “We’re happy to help the mayor in putting together housewarming packages to give formerly homeless people a sense of belonging and make their new homes happier,” said Esperanza Butler and Aida Abkarians, leaders of the Sunshine Club.